This year for the Christmas season, World Relief Seattle is inviting you to participate again in our annual 12 Days of Christmas Gifts. Each day between the 1st and the 12th, we will be collecting a different item that will be given directly to new refugee families. These items range from Soccer Balls to Laptops and they will go a long way in making Seattle feel not just like another place families have fled to, but that this is now home and they are loved and welcomed by the local community here. 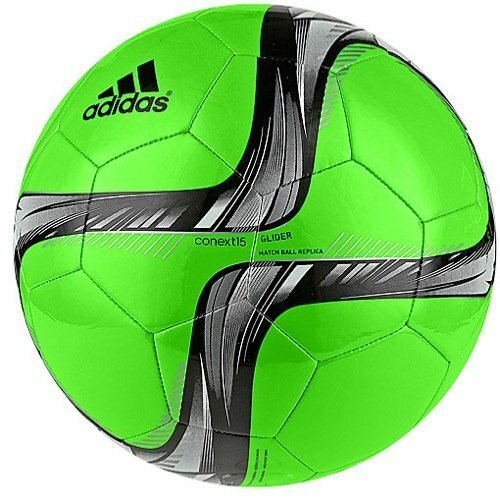 Soccer Balls and Coloring Books: Each year for our Refugee Christmas Party, World Relief Seattle gives away around 150 soccer balls to refugee youth who have arrived to Seattle in the last year. We will also be giving coloring books and coloring supplies as well. 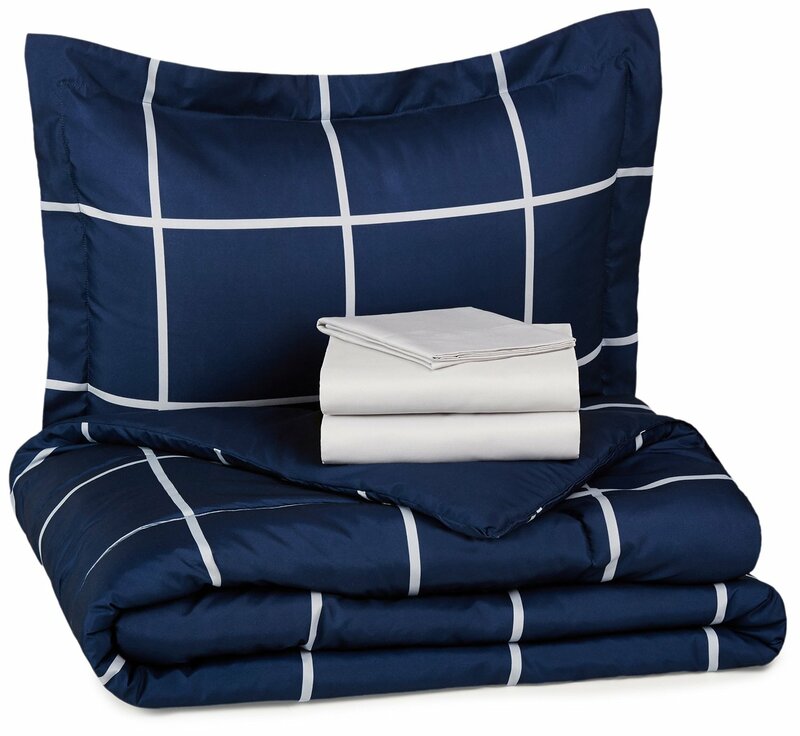 Twin Sheet and Comforter Set: As the weather gets colder, we are asking for twin bedding. Twin mattresses, box springs, bed frames, blankets and sheets are one of our largest needs each year. Rice Cookers: Rice is the staple food for more than 1.6 Billion people around the world particularly in Asia, Latin America, parts of Africa and the Middle East where many of our refugee friends are arriving from. A high quality rice cooker can free parents up to spend more time with their children rather than spending time over a stove. 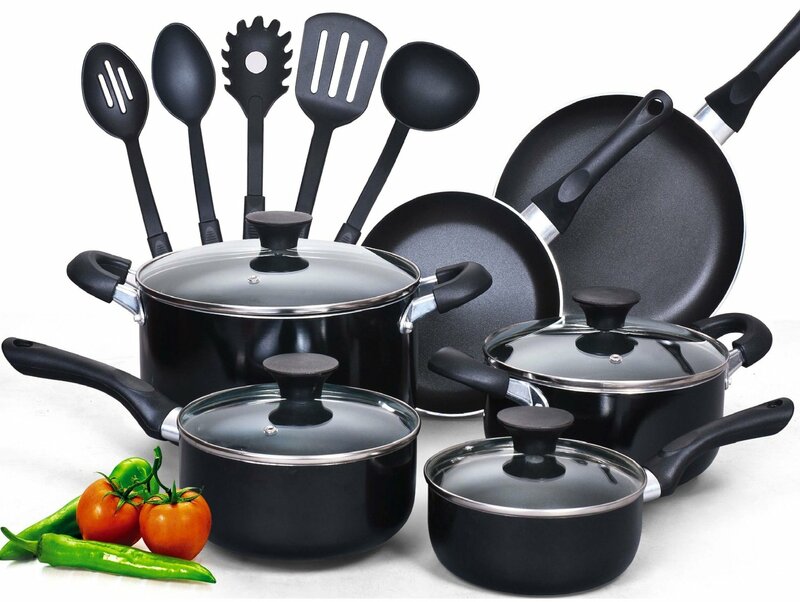 Cookware Set: A new set of pots and pans will welcome families into their new kitchen as they prepare meals that are nourishing and familiar. Diapers…Size 3 and 4: A new baby brings joy and happiness to a family and a lot of new expenses too. When we sit down with families and go over monthly budgets, diapers always pop up as a huge expense that parents worry how to afford. Bed Frames: We admit it. 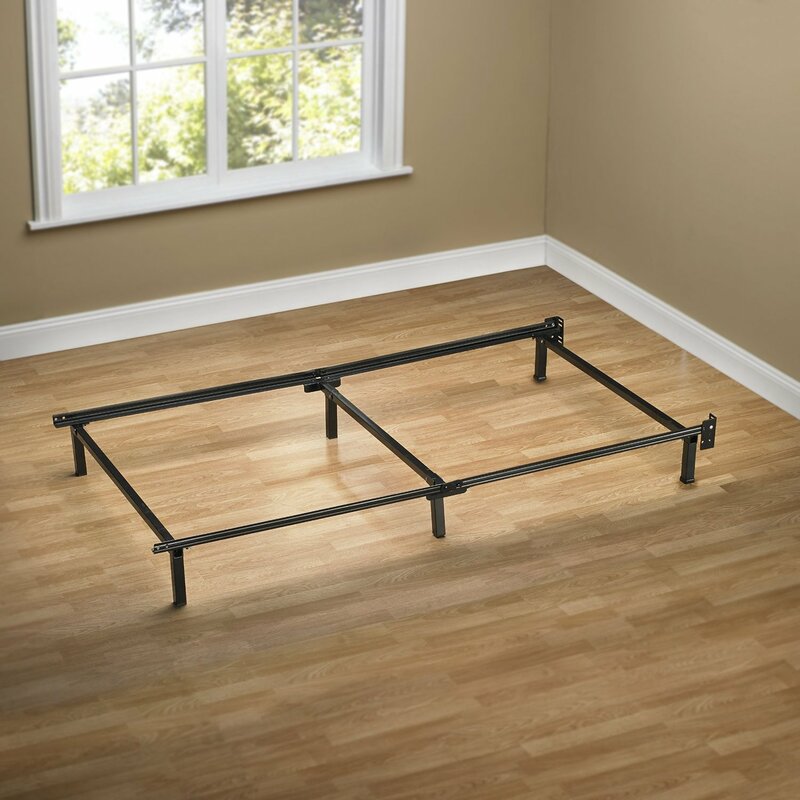 There is nothing very exciting about twin bed frames. But these are some of the hardest things for us to find in large quantities at an affordable price for families. Baby Strollers: Kids grow quickly and just like with the diapers, we have two different sizes of baby strollers on the registry. With most of the items on the list we also take the gently used version and if you have an old stroller that you would like to donate to a family please contact our donations team at seattleGIK@wr.org or call (253) 277-1121 x233. Microwaves: The apartments that families first move into have most modern amenities like a refrigerator, an oven and a stove, but they don’t come with microwaves. A microwave isn’t a necessity, but it sure helps when you want to heat up some injera for an after school snack. Vacuums: Keeping a home clean is a large part in making a new apartment feel safe and warm. A vacuum is an essential piece of equipment and common ask for our donations team to find for new families. Infant and Child Car Seats: Car seats are a necessary part of modern life and the transportation of newborns and young children. They are also to put it mildly, very expensive. Like diapers, strollers and clothing kids also grow out of them very quickly, which is whey we have added a few different sizes to our wish list. 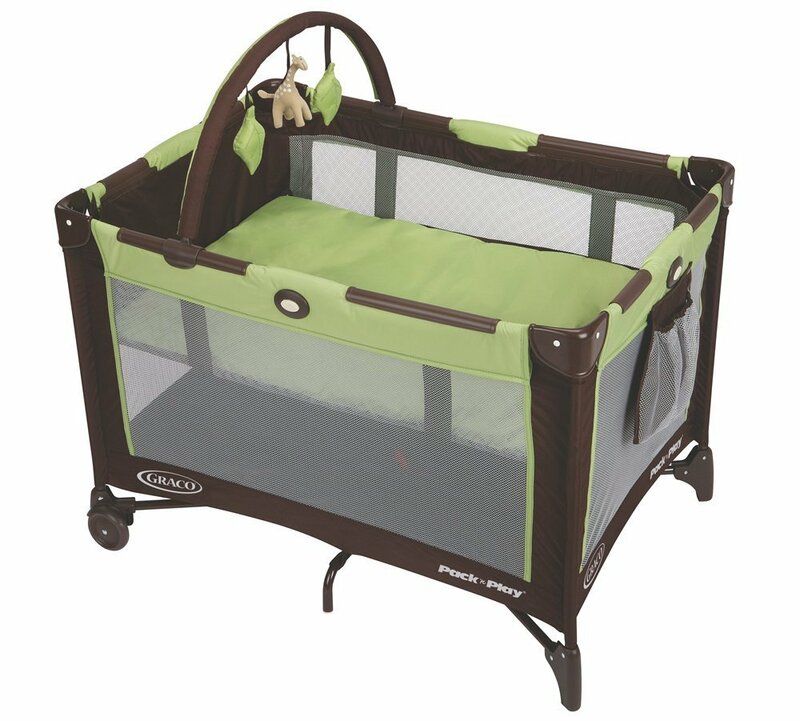 Pack and Play: A pack and play helps new parents watch over their young children in a safe space. We know of several refugee mothers who are expecting in the coming weeks and months. Please purchase this item with the matching mattress and sheet sold separately. Laptops: A computer goes a long way in helping someone become self-sufficient here in the U.S. Kids can use it to do homework. Parents can use it to look for employment. The whole family can use it to communicate with relatives back in their home country. We will be using an Amazon baby registry where you can purchase the items and have them shipped directly to our office. If you already have a gently used version of the same item we are more than happy to accept those as well via our regular donations team which can be reached at seattleGIK@wr.org or by calling (253) 277-1121 x233. A full list of all the household goods we furnish a home with can be found here. This entry was posted in Uncategorized on November 30, 2016 by World Relief Seattle. New Year’s Eve is punctuated with fireworks. New Year’s Eve is for reflection on a year ending. New Year’s Eve is filled with resolutions for the days ahead. The task of welcoming refugees and newcomers that we get to do here at World Relief Seattle doesn’t stop at midnight. 2015 saw the worst refugee crisis since WWII, and according to the UNHCR’s latest figures, it is getting worse. As World Relief International responds to the crisis on the ground in countries throughout the Middle East, we in Seattle welcomed one of the first of what will be many families to arrive to Western Washington from Syria. 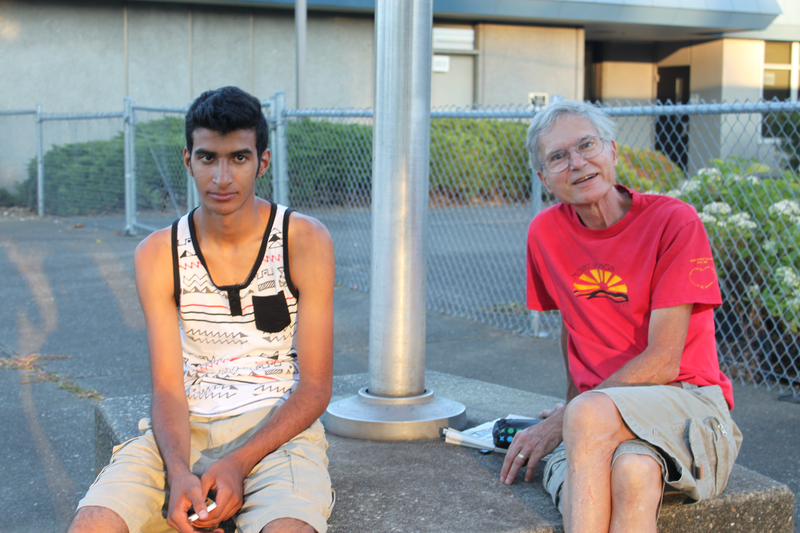 Listen to their arrival story here from KUOW. As governors across the country attempted to close their states to vulnerable families seeking refuge in 2015, our governor stated that “Washington will continue to be a state that welcomes those seeking refuge from persecution, regardless of where they come from or the religion they practice…” just as it has for tens of thousands of Vietnamese, Ukrainians and Somalis over the previous decades. Looking forward into 2016, we are hopeful for the families who are waiting to come to Seattle right now. We are expecting nearly 800 people to arrive this coming year. We know that some of those individuals who will arrive are people who put their lives on the line to support U.S. forces in Iraq and Afghanistan. We know that some children who will arrive were born and raised in refugee camps. They will be able to attend area schools where they will flourish as Bulldogs, Raiders, and Royals. Several families welcomed new additions in the month of December alone. Our volunteers and caseworker are looking forward to Midnight texts with pictures of newborns in the year to come. The work we do, the work that we invite local churches, businesses, and the whole community into is about seeing lives transformed. Will you advocate for refugees? Will you give to refugees? Will your company hire refugees? These things we hope for in the new year will take more than a moment. They will take hard work and commitment. They will take patience and perseverance on behalf or our staff, volunteers and participants. We invite you to join us in this transformational work in 2016. This entry was posted in Uncategorized on December 31, 2015 by World Relief Seattle. This year for the Christmas season, World Relief Seattle is inviting you to participate in a giving campaign at the beginning of December. Each day between the 1st and the 12th, we will be collecting a different item that will be given directly to new refugee families. These items range from Soccer Balls to Laptops and they will go a long way in making Seattle feel not just like another place families have fled to, but that this is now home and they are loved and welcomed by the local community here. This entry was posted in Uncategorized on December 1, 2015 by Scott Ellis. Loren and Karen Marston have a good-sized yard that wraps around their house. When I came to visit on a recent day with temperatures reaching into the 80s, Loren was out amongst the trees, sprucing things up. “I don’t have a pretty garden,” he said. But apparently, he does have a popular one. A week before our meeting, Loren was gathered with others at World Relief’s Welcome Home when he got a call. It was a refugee friend from Afghanistan with a request: could he and a group of Afghan friends have a picnic in the Marstons’ yard…tonight? The park where they’d planned to meet was closed. Loren agreed. He left his meeting early and returned home to a small crowd of men and boys setting up their picnic. “There were about six cars when I pulled up,” Loren recalled. More showed up, and soon the Marstons’ yard was playing host to more than 30 guests. Loren strung up a shop light so that the picnic could continue after sunset. It was close to midnight when the last guests drove away. “Strange things happen,” Loren said with a smile. Loren and a young Iraqi friend. The Marstons will tell you that opening their lives—and their home—to refugees isn’t something that came easily. “We had to grow into this,” Karen laughed as she recalled their early interactions with refugees. Over the years, they hosted families that were resettled by World Relief Seattle, first from countries such as Burundi and Congo and more recently from Afghanistan and Iran. The day that I visited them, the Marstons had friends from Afghanistan staying in their basement. But it was a partnership between their church, Faith Kent, and the local school district that spawned the Marstons’ most recent work with refugees. Church members volunteered in an English program for refugee students at the elementary school across the street from Faith Kent. When the program’s funding dried up at the end of the 2014 school year, Faith Kent began hosting classes on site at the church through the summer. What started with school children soon grew to include their parents and siblings. In total, Faith Kent hosted two elementary classes, young children’s care, ESL classes for parents, and a class for middle school and high school students. Classes continued for the next six months at a local apartment complex where many of the students lived, but space constraints proved problematic. Faith Kent volunteers got into contact with the local school district and were able to secure a building across the street from several apartment complexes that are home to many refugees in the area. 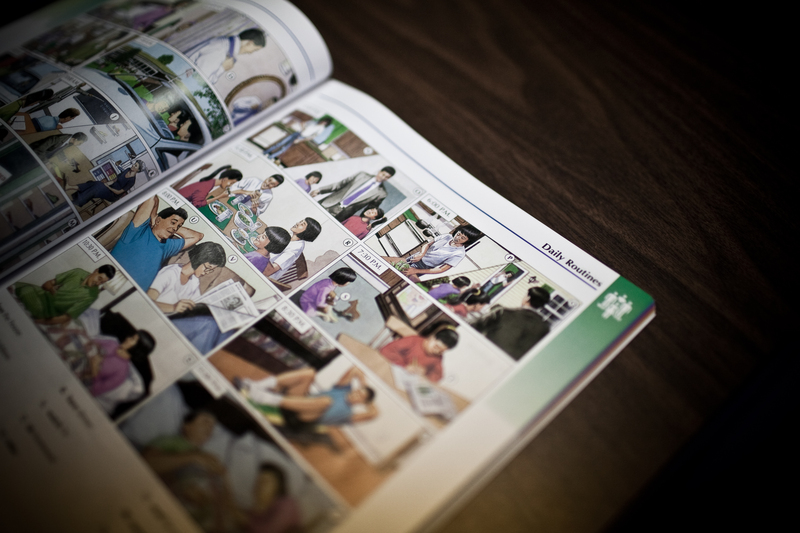 One evening a week, they offer activities for the children and English practice time for their parents. Connections in the classes often occur naturally. “It’s not like we had a plan of what was going to happen,” said Loren, referring to the bonds that have developed between the refugees and volunteers. Now one year on, several American volunteers visit their new refugee friends outside of class on a regular basis. Connections can also be unexpected. The day before I met with the Marstons, a public health nurse showed up to volunteer for the first time this year. Much to her surprise, she was greeted by hugs from students who she had previously helped in her work with them as expectant moms. If you’re interested in befriending or volunteering with refugees in King County, there are always people in need of friendship and community. Check out some local volunteering opportunities or email the Volunteer Coordinator at volunteerseattle@wr.org. Find your place in the story! This entry was posted in Uncategorized on August 24, 2015 by World Relief Seattle. “When I want to do something, I will do it,” Robika Noori says. At thirty-three years old, Robika has moved further away from home and done more to advance women’s rights than most of us will in a lifetime. She agreed to let me spend some time speaking with her at the Green River College library, about her past, her career advocating for women’s rights in Afghanistan, and what her transition to life in the U.S. has been like. Robika was twelve when she and her family moved from their home in Kabul to a smaller village in the North of Afghanistan because of the war. Despite the increasingly dangerous situation in Afghanistan, Robika finished high school and graduated with top grades in her class. Her plan was to continue on to university and pursue a degree in engineering, but at the time, the Taliban had gained power in Afghanistan. 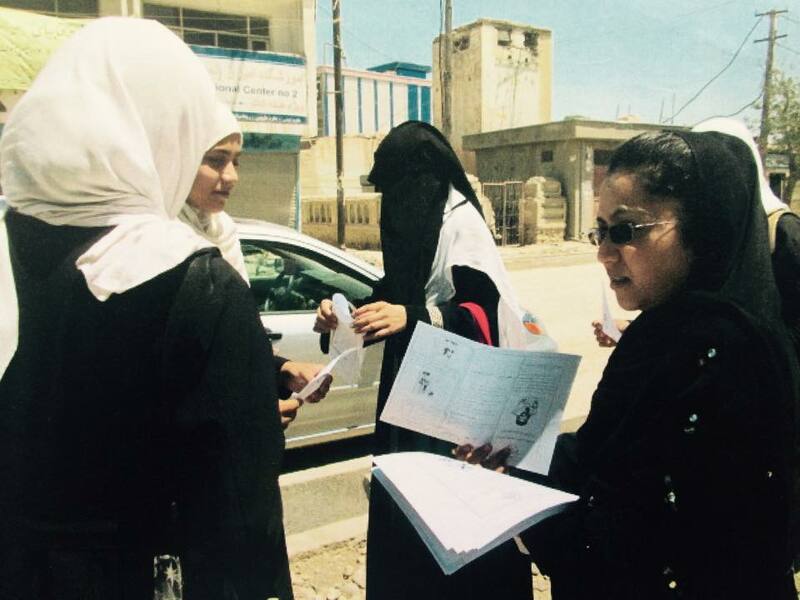 During this time, Robika explains, it was nearly impossible for both men and women to study because of the increased restrictions on universities in Afghanistan. As security decreased in the North, Robika and her family moved back to Kabul. She looks back on this as a difficult time. “We were like birds in cages,” she says. Women were required to wear a burka, and could not leave the house to go to school, to work, or to go shopping. In 2003, there was a change in government and it was once again possible for women to be active outside the home. When she began looking into attending university, she found that the records of her high school education had been destroyed, making it impossible for her to continue her studies in Afghanistan. Because of this, Robika decided to take a job at a local NGO instead. Robika continued on to work for several different projects focused on increasing women’s equality. She worked as a gender auditor for local NGO’s to ensure that women had access to the resources they needed to work there. She explains, “You should have, for example, day care for them. You should have restrooms for them. What should you do if a woman has, for example, pregnancy, holidays, these things. We had a special gender plan for them.” In all her positions she worked closely with municipalities, communities, and local elders to design projects with a vision of gender equality in mind. As a result of these many precautions, Robika and her family were able to remain safe in Afghanistan for several years. One day though, Robika stepped into a taxi and the driver recognized her. He said that he knew her, and named the organization she had been working for, where her house was, and what her salary was. Though the organization where Robika was working at the time took measures to keep her safe, Robika did not feel comfortable knowing that the taxi driver, and possibly others, knew about her and her family and where they lived. In January 2014, Robika and her family once again moved back to Kabul, this time to begin the application process for a visa to the United States. 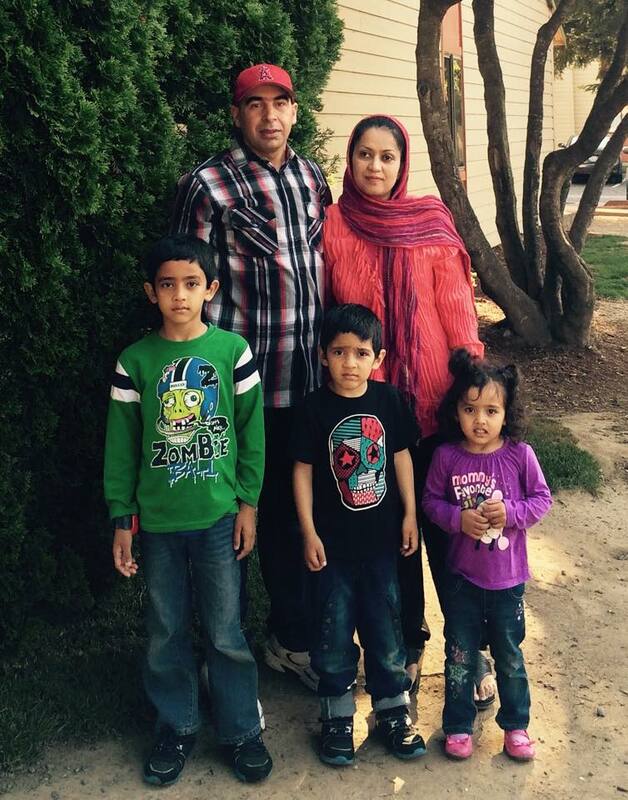 In September 2014, Robika, her husband, and their three young children were able to come to the U.S. They first moved to California where Robika’s aunt lives, but after a few months the high rent, lack of jobs, and distance from the local resettlement agency lead them to make another move, this time to Kent, WA, where Robika became connected to World Relief. Through World Relief, Robika was able to get help with problems like health insurance and finding a job. 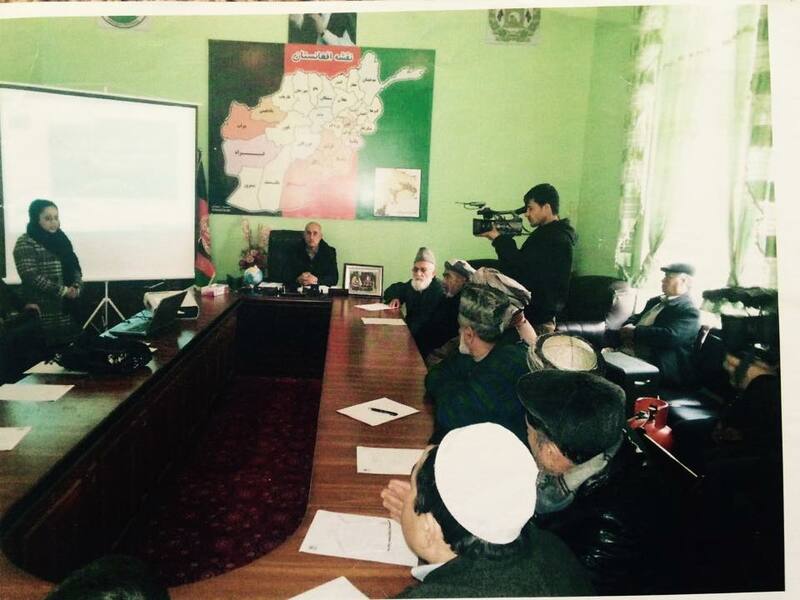 During the time she spent at English and job classes at World Relief, she met a network of Afghan women. Robika enrolled as a student at Green River College. “College was a dream [I had] when I was in school,” she says. After enrolling at Green River College, she quickly found a work study job as an office assistant. Her days are now filled with both working and studying at Green River. She is currently taking prerequisites and will continue on to major in Business Management. Though Robika likes the Seattle area, she hopes to eventually move back to Afghanistan to continue the work she left there. She says that, “If the security of Afghanistan is good, I will go and I will start work for women again. It is my dream to work for women.” Laughing, she adds that, “my kids, they say, ‘If you go back, we will not go with you, because here is very good.’ “ If Robika is unable to return to Afghanistan (or if her children convince her to stay), she hopes to work as an advisor for a health and human service organization such as DSHS or World Relief to help them better serve the new demographic of Afghans arriving in the area. Wherever Robika Noori may find herself, it is clear that what she is dedicated to advancing the rights of women. Because of the lack of gender equality and opportunities that exist for women in Afghanistan, Robika says that it is sometimes difficult for Afghan women who have recently come to the U.S. “They think…we can’t,” she says, and continues on to express the need for vocational training for women so that they can play a role in the economy of their families. Though Robika hopes to someday return home to Afghanistan and continue working for women there, it is clear that she is doing her best– and succeeding– at making a home for herself in the United States as well. She speaks confidently and quickly in English, and her schedule is fully booked with school, work, and interpreting. She helps fellow Afghans whenever she can, and is quick to respond with advice or explanations when asked questions about the Afghan culture. We can count ourselves lucky to have a confident and community-oriented woman like Robika Noori as a resident of Kent. This entry was posted in Client Spotlight, Uncategorized on July 2, 2015 by World Relief Seattle.